The Bungalow stands in its own grounds between Ellary Cottage and the Gardens Cottage, close to Ellary Burn. 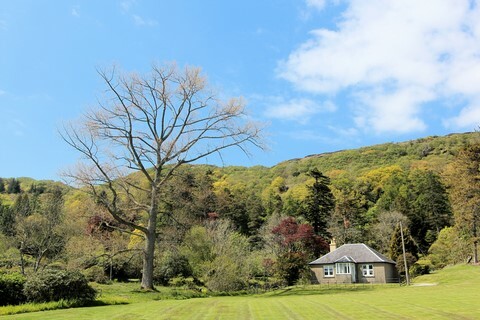 The front of the house has lovely views across the Loch. Directly in front of the house is a large mown field leading to one of the two beaches which are the main feature of the area. Not far from the harbour, it is suitable for boating families. The Bungalow has three bedrooms: one double and two twin rooms. There is a sitting room with dining area, a fitted kitchen (including freezer and washing machine) and a bathroom (with electric shower over bath). There is also a bright entrance porch, and fenced garden.